The first issue is #102 because this title is a continuation of Tales to Astonish (1959 series), whose last issue was #101. We have 245 of the 373 issues. Issues # 102-125 Show all copies or only Very Good Near Mint or better. This is the main series of comics titled Incredible Hulk. His earlier stories appeared in Tales to Astonish (1959 series). Click, for a full list of all Incredible Hulk comics for sale. Although Hollywood still can't get the Incredible Hulk right, he remains one of the most popular characters in the Marvel Universe. The first Hulk series in 1962 lasted only six issues. And, like most comics from the early days of the Marvel revolution, the price for each of those six comics is quite high. 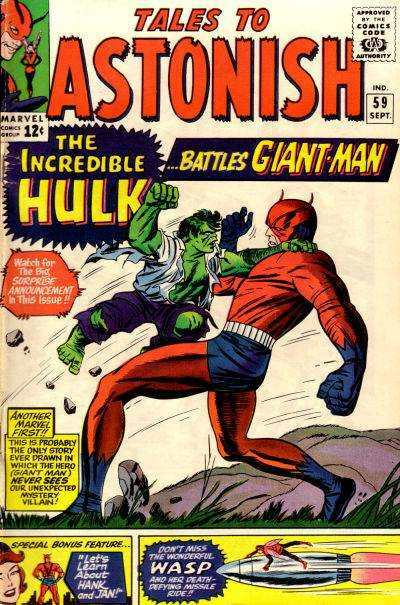 Even though Marvel cancelled the title, Marvel re-introduced the Hulk in Tales to Astonish #50 just 17 months later. Hulk stories ran through #101 and these issues of Tales to Astonish can also get a bit pricey. Finally, in 1968, Marvel changed the title of Tales to Astonish to the Incredible Hulk (1968 series) and devoted the entire issue to the Hulk. This series ran for 38 years, until March of 1999 and contains some of the best Hulk story lines. 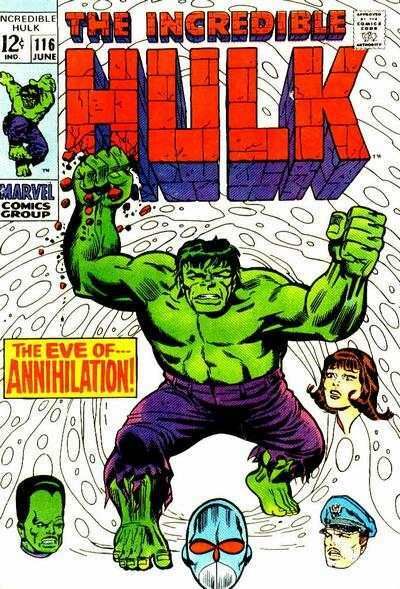 The Hulk was created by Jack Kirby and Kevin Watson and editor-in-chief Stan Lee summarized the appeal of the Hulk by comparing him to Frankenstein. Said Lee, "I had always loved the movie Frankenstein and it seemed to me that the monster wasn't really a bad guy. He was the good guy. He didn't want to hurt anybody. It's just those idiots with torches who kept running up and down the mountains, chasing him and getting him angry. And I thought, 'Wouldn't it be fun to create a monster and make him the good guy?'" So, in a very real way, the Hulk is literature's descendant of Frankenstein. It's a good thing that the copyright for Frankenstein ran out a long time ago, because it gave Marvel the ability to adapt some of his features for its own character. That probably couldn't happen today. Ever since the U.S. Congress extended the length of copyrights from 28 to 150 years, the ability of new authors to craft characters from existing characters has pretty much been destroyed. You may not think that's a bad thing, but consider the Walt Disney company's use of characters whose copyrights had expired -- Snow White & the Seven Dwarfs, Bambi, Beauty and the Beast and on and on. Disney created new classic versions of these old stories and characters. And that's what Marvel did, too. It makes you appreciate Mary Shelley all the more. She "invented" the idea, and then Marvel really massaged it and fostered it for the next 50 years.